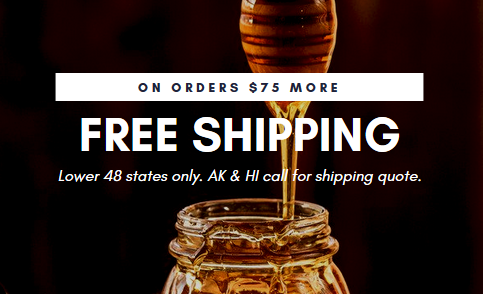 Free Shipping when you spend $75! 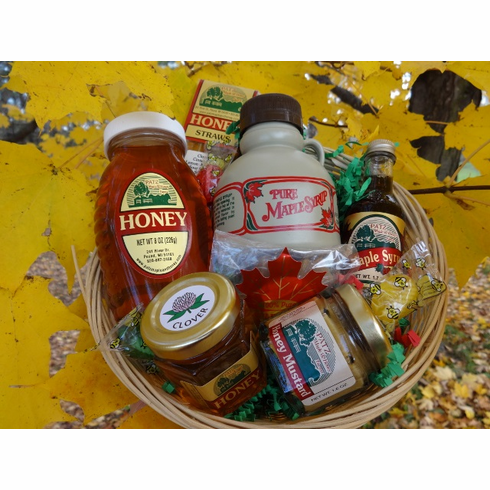 Comb Honey - "Handy work of the Bees"
This delightful small basket includes a 1/2 pint maple syrup, 8 oz. raspberry flavored honey, 1.7 oz. maple syrup, maple candy, 1.75 oz. clover honey, gourmet honey mustard and a package of assorted flavored honey straws. © 2018 Patz Maple and Honey, All Rights Reserved. Yahoo Theme styling by All Web Promotion.